SOS Forum • Is my Amp Technician over-charging me? I had the output transformer replaced on a Fender Princeton Reverb Reissue, and he charged me for 2 hours of labour. This seems excessive, or is there something especially difficult about this job? Re: Is my Amp Technician over-charging me? I'm not an amp tech, but I am a guitar tech, and I don't feel that 2 hours is excessive for a self employed tech. There is a lot more to the job than just a bit of soldering. The output transformer is a key component, they are very expensive when they blow, and when they do blow there is a lot of potential for collateral damage. A decent tech would take the time to ensure that the blown output transformer hadn't damaged other parts of the circuits. Then you have to factor in the time spent on customer service, diagnosis, admin, and everything else non-productive that is essential to running a small business. And if the replacement was an upgrade rather than repair of a blown component, it might well require testing/modifying other parts of the circuit and re-biasing the power amp. 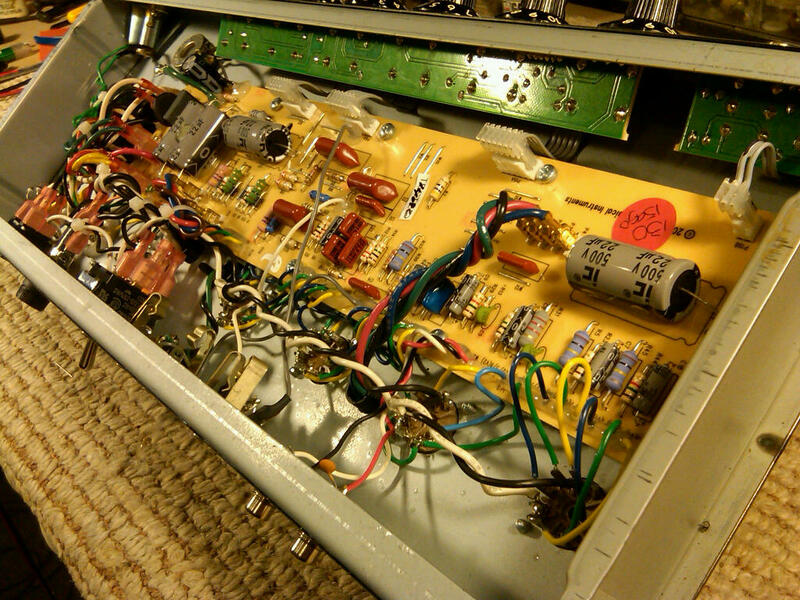 If you are still uncertain, time yourself taking the amp out of the combo and then putting it back together again. Not much time left from 2 hours to actually do the job. Finally, if you do paid gigs you might want to consider this... when you play a 1 hour set at a bar, how many hours do you spend loading the car, setting up, breaking down, unloading the car, learning songs, writing songs, practicing them, rehearsing them? By my calculations you are being under-charged. Thank you, I have been schooled! It does sound like I should give him the benefit of the doubt (first time that I've used his services). How much was 2 hrs labour? If I were back in the repairs game I would charge a £30 non returnable deposit at the door. That covers inspection time and overheads plus it stops time wasters "reckon its just a valve" and the place filling up with people's junk. Platypus9 wrote: I had the output transformer replaced on a Fender Princeton Reverb Reissue, and he charged me for 2 hours of labour. This seems excessive, or is there something especially difficult about this job? Two hours sounds pretty efficient to me. I'd have expected longer for a job like that. Never worked on one but the OPT mounting bolts, three of them at least, seem to be under the turret board and they will NOT have left enough wire to just twist it out of the way! So, lots of snaps and a drawing to ensure wires go back in the right places. Then, "our" transformers connect via 6mm spades. That chassis is a lot of soldering. Note that both the '65 and '68 reissues are very similar in internal layout with mainly component value changes. The output transformer is attached under the chassis between the footswitch and reverb output jacks. You can see the plastic tube in the floor of the chassis to/from the OP transformer with the four thick wires wrapped around each other heading off to spade connections on the PCB. 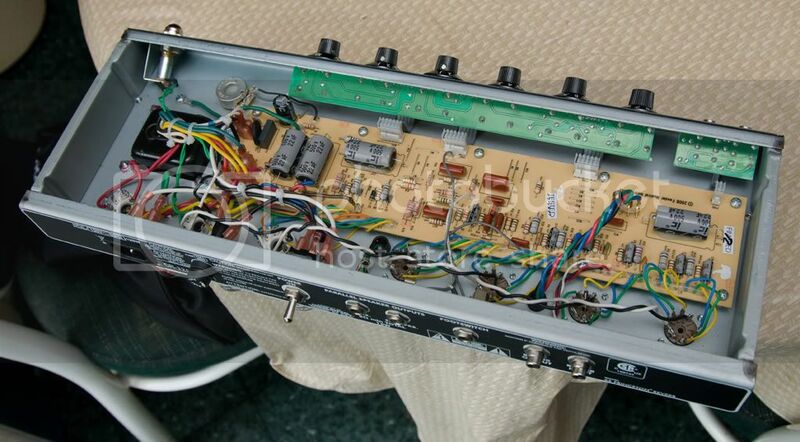 But the transformer is mounted centrally beneath the PCB (assuming that a heavy item like a transformer is held on by nuts, as is the IP transformer, rather than just tapped holes in the chassis like the tube bases), so the PCB has to be removed to allow access for removal and replacement. Not as involved as with a turret board, but still quite time consuming. Then as has been said, there is testing of other components for damage, replacing any damaged components, replacing the power valves, testing the circuit with the HT fuse removed (no standby switch), then with HT on, followed by biassing the valves, and then playing it in for a while to make sure no other problems then show themselves. At some point they probably tested the pre-amp valves to make sure they were all working properly. And then the chassis has to be put back in the amp. So, charging for two hour's labour seems reasonable to me. Yes Mr W almost certainly the PCB version but I would respectfully suggest that replacing the OPT is an even bigger nightmare than the old, turret version? The choice is between removing all the front pots and lifting the PCB that way or unsoldering the zillion wires coming the other way. I might be wrong and the ribbon cables from the front panel unplug? Often they don't. Of course, IF the traff is mounted on cinch nuts, way easier but still needs the care and attention you mentioned and 2 hours is a very decent time. The front panel PCBs all look to me to be connected by pull-off ribbon connectors. Better seen from this side view. Makes life a bit easier! Yes indeed, helps a lot but I would still take good photos* because Sod's law means the odd wire or three will break off! Do you know if those amps are prone to popping OPTs? I know some are. The only output traff I ever changed was one in an HT-5 which had punched through pri to sec and of course that took out the HT fuse. In nearly 2 years I never replaced another one in any chassis and talking to the tech the other week, they still don't fail. I did have some guys that should have known better run the bits off an A100 sans speakers. Destroyed the EL34s and fuses but the traff survived. *Techs don't know they are born these days! I had to make very careful drawings of radio wave change switches prior to replacement and didn't I get *****ing if I got it wrong and an old hand had to sort it out! The question I'd be asking is 'Why did it fail?' In times gone past I would not expect one of these to pop unless it was being abused in some way. A quick search doesn't show that they aren't prone to failing. Modders often replace them with a bigger OPT to get a tighter bass sound, but not because they're undersized and blow (only a 12W amp). Folderol wrote: The question I'd be asking is 'Why did it fail?' In times gone past I would not expect one of these to pop unless it was being abused in some way. Sort of my question Will. I am more or less a One Trick Pony re amps but I do know some marks are more prone to blow a transformer than others. The main culprit of course is an intermittency in the speaker circuit. Lots of great info here. I lent this amp to a friend who plays far louder than I do, when it blew. I wasn't there at the time. I'll be reluctant to loan tube amps in the future. So this is not an upgrade, just a replacement. It does sound like 2 hours labor is reasonable, although the shop rate per hour is ridiculously high, so I won't be using this repair technician again. What do you call 'ridiculously high'? An ordinary electrician will charge something like £50/hr. It's normally either playing with the speaker disconnected or a fault in one of the power tubes. It may be that your friend tried it with an external cab of the wrong ohmage (no ohm selector switch) or then maybe forgot to put the speaker lead back afterwards until it was too late. Or maybe used an extension cab in parallel with the internal speaker for too low a load and turned it up loud. Easy to do if you aren't familiar with the foibles of valve amps. Folderol wrote: What do you call 'ridiculously high'? Yup, two hours sounds reasonable (or even cheap) for that job but that also depends what his hourly rate is? Running a valve amp into a load more than about 50% higher than selected can result in valves arcing over and while this will often do the valve no good at all the arcing should just blow an HT fuse and cause no other damage. Components around the valve such as cathode resistors and G2 feeds should not burn out and certainly the output transformer should be undamaged. Running the amp into no load at all will cause massive arcing, possible carbonization of the valve bases and possibly an internal arc and subsequent failure of the OPT. Running an amp into heavy distortion, especially from OD pedals can wreck some amplifiers but these days THAT is what people do to them!